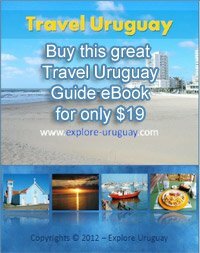 If you are traveling to Punta del Este, Uruguay, you should make a point of exploring some of the beautiful shoreline at Beach of the Englishmen or Brava Beach. These are two attractions which command a lot of attention from visitors and they are open throughout the year. Don't let the name mislead you because this beach is one that holds excitement and challenges for everyone, and not just tourists. The sparkling waters, brilliant sun and shimmering beach sands can be mesmerizing and it is definitely worth the time and effort to explore both of these shorelines. When visiting the South American country of Uruguay it is impossible not to find a beach that you will fall in love with. There are many regions that have spectacular beaches and each one has a unique character and charm that sets them apart from the others. In Punta del Este two of the favored beaches are Brava and Beach of the Englishmen. These are places where locals and tourists both come to relax and enjoy the sand, surf and warm sunshine. This beach in Uruguay is a narrow stretch of shoreline that is protected from most of the fierce winds because it is located so close to the main peninsula. There are some rocky outcroppings here at this beach in Punta del Este where many people come to look for shells and small sea creatures that may be trapped in the shallows. Hiking and walking along this shoreline are the main activities but surfers enjoy the crashing waves that can be found here as well. This is one of the beautiful Uruguay beaches that is not highly recommended for sunbathing and casual swimming because the surf and currents can be treacherous and the tide comes in swiftly. An unwary sunbather can be drenched with water in a matter of moments if they are not careful to choose a spot that is well removed from the areas that the tide can reach. Dedicated, thrill seeking surfers looking at surfing in Uruguay enjoy the rough surf that is found near this beach, but only strong swimmers should dare to challenge these waters. Still it must be said that the views of the ocean and the horizon are stunning especially in the early morning and late evening hours. There are many visitors who come to this beautiful Uruguay beach just to experience the wild call of the ocean in a natural setting. Families can enjoy the ocean as they stroll along the shoreline at low tide, and you can also come and watch surfers and fishermen just off the coast of this beach.